FFA - Oklahoma City University hosted CAIR Islamophobe bashing symposium. Oklahoma City University hosted CAIR Islamophobe bashing symposium. Oklahoma City University hosted CAIR Oklahoma’s Muslim Youth Leadership Symposium on June 12-14, 2015. 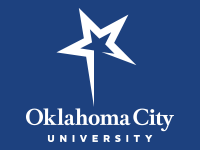 Oklahoma City University is affiliated with the United Methodist Church. CAIROklahoma.com states: This year's theme for MYLS is, Islamophobia in Oklahoma: Challenges and Opportunities for Today's Leaders. Imam Imad Enchassi appears to be the keynote speaker. Cairoklahoma.com states: Imam Imad Enchassi grew up in the Palestinian refugee camps in Beirut, Lebanon. His experiences as a child surrounded by war and conflict have shaped his passion as an adult for promoting unity and understanding. 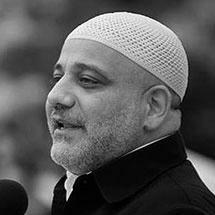 In 2004, Enchassi made a career move, turning his previous part-time volunteering activities into a full time commitment by becoming the Imam and president of the Islamic Society of Greater Oklahoma City (ISGOC) where he serves currently as Senior Imam. Oklahoma City University: Imad Enchassi is also an Assistant Professor of Islamic Studies, Endowed Professor of Islamic Studies at Oklahoma City University. CAIR’s Islamophobia report targets prominent people who express legitimate concerns about Sharia doctrine creeping into American public and corporate policies and the threat of Jihad in the United States. Some of the people who CAIR has resorted to grade school name calling of Islamophobes include: Allen West, Ann Coulter, Bill Maher, Glenn Beck, Michelle Bachmann, Mike Huckabee, Pat Robertson, Phyllis Schlafly and Don Wildmon. Many organizations and other individuals are targeted on the CAIR hit list. Florida Family Association has prepared an email for you to send that expresses disappointment that Oklahoma City University officials empowered CAIR through their Islamophobia symposium to attack, malign and target people who express legitimate concerns regarding Sharia law and Jihad in America. Center for Interpersonal Studies through Film and Literature at OCU. Medical Director of the Physician Assistants Program at Oklahoma City University. President and chair of the Kerr Foundation, Inc.
Mr. Joe R. Homsey Jr.